In some ways this episode could be said to be about many things, as a fairly large number of different events come up throughout the course of it: an end of the year mini-pageant at Hitotose complete with a live deer, Christmas, New Years and the first dream of the new year, Kuina and Mayuki going home for a couple days, Hinako spending time with Chiaki and getting to know her better… a lot of different points are raised. Yet at the same time this episode could be said to be about basically nothing at all, as all of these little stories don’t lead anywhere, and are finished off very quickly, without leaving any dangling threads for use in later episodes. That is not a flaw, of course; it is a defining trait of slice-of-life series: many of which are described colloquially as “shows about nothing.” People who understand the basic concept know better than to hold that against such series. However, rather than describing this episode as either one with a lot of content, or one with basically none at all, I think I would choose a different term. I would call it a reflective episode. It is an episode that both directly and indirectly looks back upon the series as a whole, and reflects upon its journey, and how far it has come since it began. How people have changed, and how they’ve remained the same. How have these girls grown, and how have they not. How have they gotten closer, and in what ways can they get closer still. 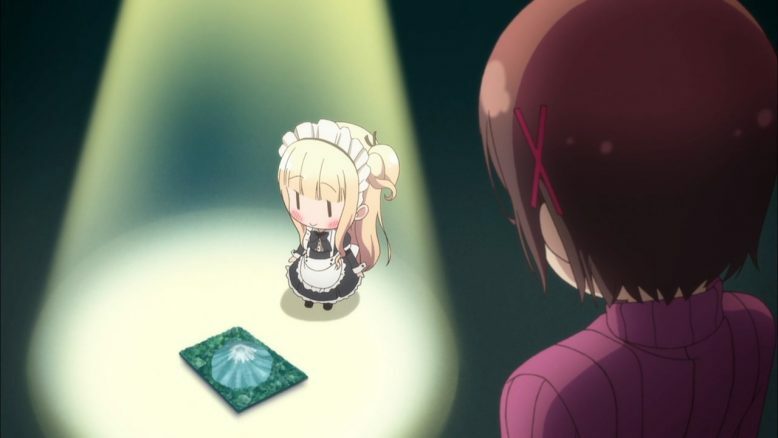 It was not always overt, but I felt an undercurrent of that feeling throughout most of the episode, coming to a peak at Hinako’s explicit moment of self-reflection near the end. It is a bit unusual to have this now: most of the times that I can remember a series doing something like this, it would be in the final episode, serving to add to the sense of closure. But it doesn’t seem to have harmed anything to have done it in this episode, so far as I can tell. On to more specifics. It’s interesting to see some of the first dreams of the new year for the girls. 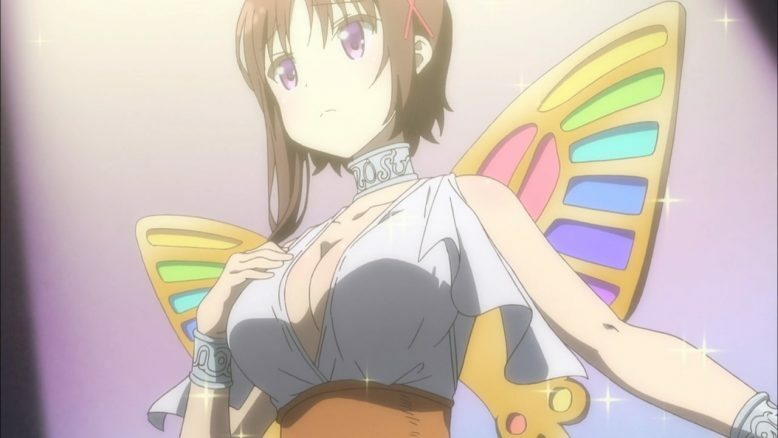 Hinako’s dream bodes well without needing any deep interpretation. 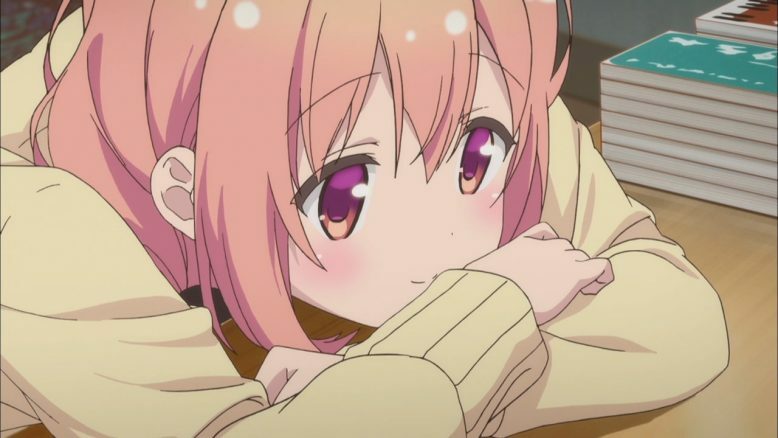 If you choose to believe in the Japanese tradition that the first dream of the year foretells one’s luck for the year, Hinako stands to improve in exactly the way she wants. In more symbolic terms, Chiaki’s dream, while strange, is also a good omen, because Mt. Fuji is considered to be among the greatest symbols of good fortune one can dream about. 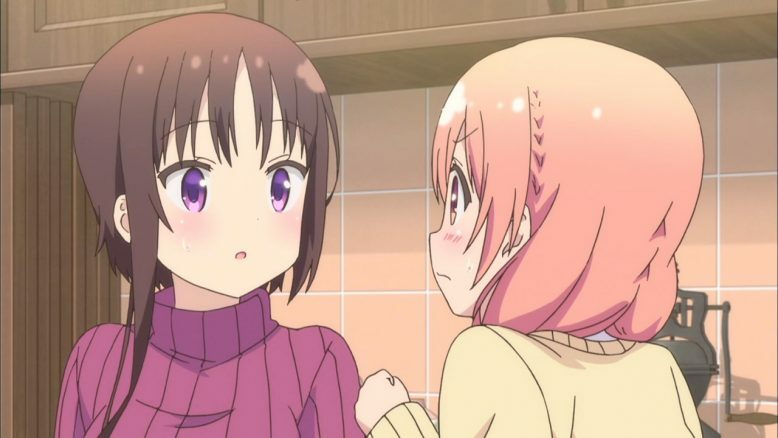 Kuu-chan and Mayu-chan heading off to visit their families brings up an old joke question once more: just where the heck does Hinako come from? Given that she believed a two day round-trip from Tokyo to there and back would result in a majority of the time being spent in transit, and we know she lives fairly deep in the mountains and has never before seen the ocean, some quick researching on Google Maps leads me to conclude that she comes from somewhere in Hokkaido: probably somewhere in the central or northern section. Although it’s possible that going to the extreme southern end of Japan might work as well: some of the villages in the mountainous area of Kyushu are also a good 15+ hours away from Tokyo. But previous guesses placed her to the north, and I would think it’s likely she comes from a fairly cold region, given some things we’ve seen. I’m going to stick with my first guess. There are, of course, inconsistencies, but I suspect there will always be some no matter what we try to figure out. I doubt the author ever intends to actually let us know where she comes from: that would ruin the joke. 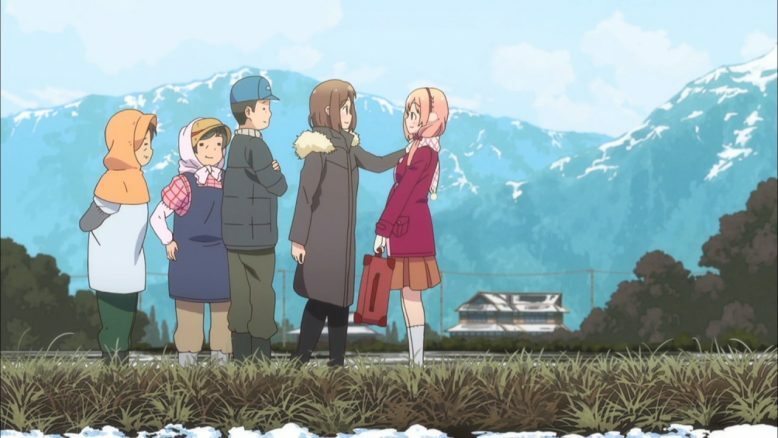 The departure of those two also leads to Hinako realizing that she has no idea how to talk to Chiaki without the other two there to help move the conversation along. Fortunately Chiaki is pretty hard to unsettle, so despite Hinako’s nervous exclamations that sound more like she’s propositioning Chiaki than trying to start a conversation, Chiaki manages to settle Hina down and talk with her more normally. I actually liked this segment a fair bit. Chiaki’s character up until now has basically revolved around her interest in theater, or her position as landlady and honorary big sister to the other girls. Seeing her go out to do something that has nothing to do with either gives a bit more depth to her character. 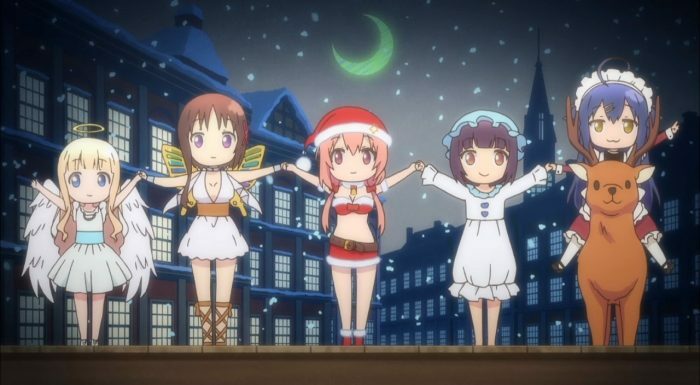 Of course, it also let us see her, and Hinako, and eventually Yua in miko outfits, and having a group hug, so that’s something too. In the end this episode was a comfortable slice of life episode. It’s not so much about the destination, but about enjoying the journey as we’re on it, and this one also took a bit of time to examine how the journey had gone from the beginning up until now. Only one episode remains, and I refuse to make any predictions about what it might be about. I said I wouldn’t make any more, so I won’t. We’ll just have to see how everything turns out. All things considered, though, I’ve enjoyed this time with these girls, despite any issues I may have had with the series, and it will be sad to see it come to an end. 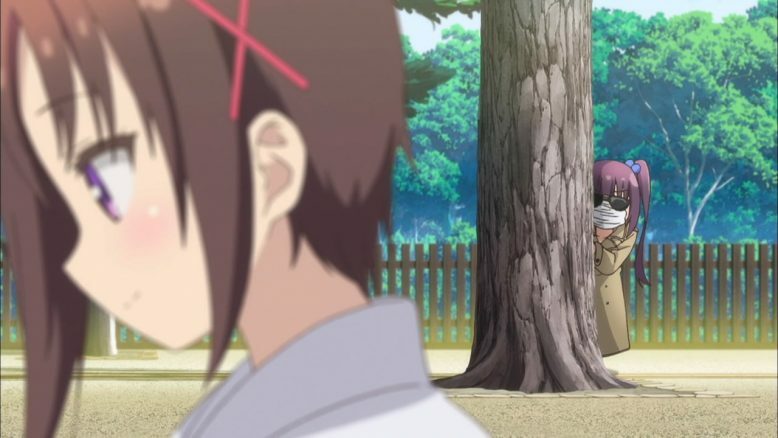 Pay no attention to the extremely suspicious-looking obsessed fangirl behind the tree.